It’s Monday and you know what that means? Pie number 18 was baked at our house this past weekend. I actually ended up making two pies. The first was a mixed berry pie that didn’t exactly turn out to be a pie. It ended up more like a delicious fresh fruit soup. The filling never set so I poured (not scooped) it into a sealed container and will serve it with everything and anything. So sad too. I thought it was going to be awesome! Since I took pictures of the process, I’ll share a few here. 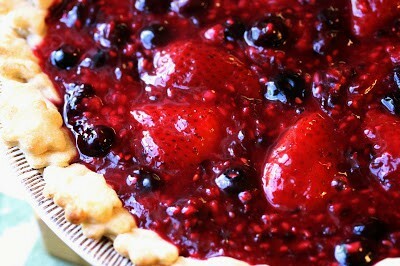 If you have a mixed berry pie recipe maybe I should take a look at it. Mine needs some serious tweaking before I make it again! 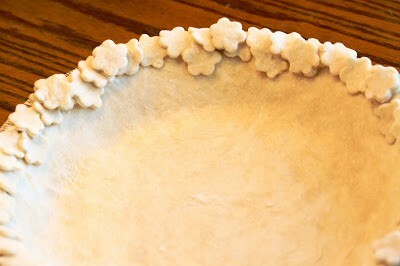 I made a pre-baked pie crust and used a tiny cookie cutter to add some flair. 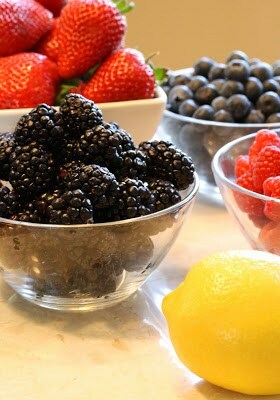 This pie called for blackberries, strawberries, raspberries, blueberries and lemon juice (and sugar and cornstarch). See how pretty!?! I’m afraid it never went past soupy 🙁 But I will try again! When I realized I didn’t have a pie success to share, I dug out this recipe. 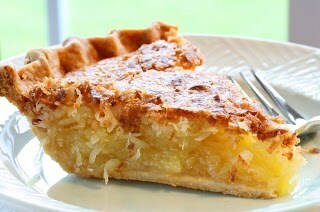 Since I had all the ingredients I pulled it together and made another coconut pie this week. This one is completely different from the Coconut Cream Pie posted just after Easter. This is baked and has a nice crispy crust. I didn’t intend to make two coconut pies back-to-back, but a girl’s gotta do what a girl’s gotta do. It’s so easy and turned out great. I thought it was very sweet but my husband said it was terrific. Easy and sweet! I used sweetened coconut because I had some in the freezer. I would use unsweetened next time. The recipe did not specify but so you know, it is very rich and sweet. To cut down on the sweetness, use unsweetened coconut! I think the results would be fantastic! 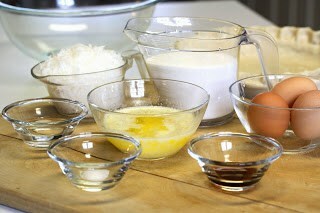 Whisk eggs in a medium mixing bowl. Add the sugar, melted butter, vinegar, vanilla, and salt. Whisk until blended. Fold in the coconut and pour into the unbaked pie shell. Bake at 350 degrees for 1 hour. Cover the edges of the crust with foil to prevent over-browning. What happened to the sugar in the instructions? 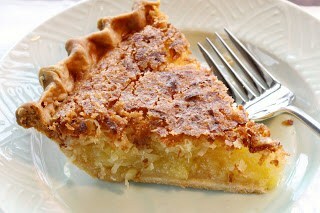 This reminds me of a chess pie but with coconut in it. How I had not thought of that is beyond me but now I must try it. Thanks for stopping by Erin – I know I feel the same way – sometimes I think “why didn’t I think of that” Actually I say that a lot. Or sometimes I’ll come up with an idea and then Google it – everybody in the world has already done it – haha – guess I’m average in the creativity department! 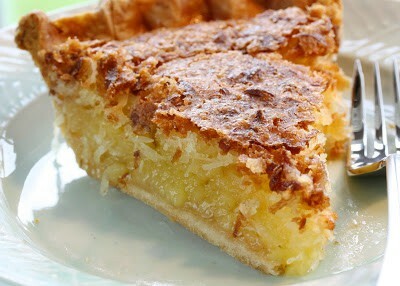 The coconut pie is the best and easiest pie to make. I bake it all the time but I only use one cup of sugar and I do use sweetened coconut. I think you will no longer find it too sweet. This is my go to bake sale pie… Easy and delicious!! Thanks for sharing…. I bake this GREAT pie myself and maybe you are right about it being too sweet. I only use a cup of sugar and I use sweetened coconut. It surprises people with the sweet buttery taste…. . Everyone should bake this pie and it's so quick and easy. This is my bake sale go to pie…. Tricia, this pie looks incredible! How did I miss your 52 pies section before now? I LOVE seeing all of the pies at a glance. I just pinned this recipe to try soon. It sounds heavenly. I love the berry pie! I wouldn't have minded about it not setting up, as I'm not a big fan of crust and would just want to eat the filling with a spoon anyway… :)<br /><br />The coconut cream looks amazing, of course, as well.